All blood donors are great … but are you the world’s greatest? 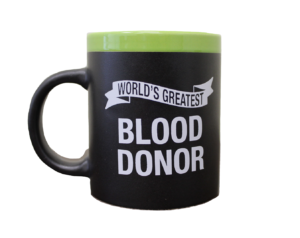 Show just how awesome you are with this World’s Greatest Blood Donor coffee mug. Get yours when you donate at any KBC donor center by Dec. 16. Schedule an appointment. Walk-ins are welcome. Please note our Thanksgiving week donor center hours.